We install and maintain aerobic treatment units from Aqua Klear. Both standard systems and aerobic treatment units (ATUs) use natural processes to treat wastewater. The main difference is that ATUs use oxygen to break down the organic matter from a household, which makes them similar to municipal wastewater treatment systems on a smaller scale. Here at Clark Septic, we install, repair, and maintain ATUs in the Orlando, Florida area and are proud to offer superior workmanship alongside our exceptional service. This is why, when faced with a new install for an ATU, we use materials and equipment from Aqua Klear, an innovative supplier and manufacturer of wastewater treatment systems. Aqua Klear systems are more than your standard home wastewater treatment system – they use a patented clarifying trio and a compact all-in-one design that treats household waste and cleans it, so it leaves the outgoing wastewater odorless. On top of this, home sewage treatment systems from Aqua Klear don’t come with any internal moving parts, which makes installation easy and routine maintenance quick and painless. 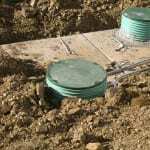 We realize that while you may be familiar with the idea of a traditional septic system, you may be less aware of how to maintain an ATU system. Our team is committed to client education, so we can answer any and all questions you have about ATU systems and Aqua Klear equipment and technology in particular. An ATU could be the right fit for your home in Orlando, and our team at Clark Septic is prepared to provide an honest assessment. 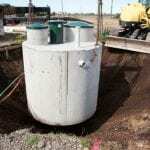 Give us a call today to speak with one of our friendly septic professionals!